From Stock Eliminator to Pro Mod, the Aeromotive A2000 has proven to be the most versatile “big” carbureted fuel pump on the planet. 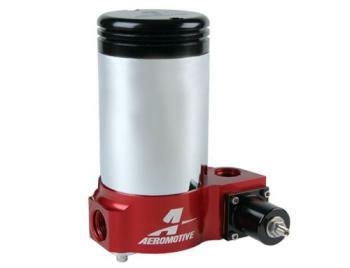 The A2000 flows enough fuel to support the world’s quickest nitrous Promods on gasoline, and is the industry’s only fuel pump that uses a true diaphragm-controlled, adjustable bypass valve, integral to the pump. This designed dampens pressure spikes, delivering smoother, more controlled flow and pressure, ensuring more consistent E.T.s and win lights.